Back in early 2007, very few pundits gave Obama a chance in the 2008 Democratic presidential race. At the time, Hilary Clinton and others were front runners. But things would soon change. Prior to the 2004 presidential campaign, George Soros & Co. were working to position Obama as a serious contender in 2008. They put together a propaganda book based on some episodes of Obama’s life, filled with the inspiration and glory often seen in fiction novels. 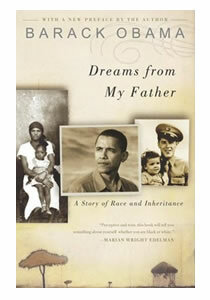 Mysteriously, the book, “Barack Obama, Dreams from My Father” was released in the summer of 2004 just a few days after Obama’s speech endorsing Senator John Kerry during the Democratic National Convention in late July 2004. 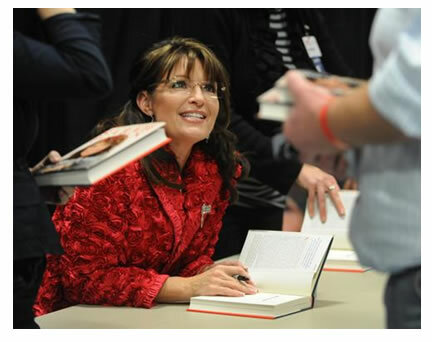 Although this ghost-written book was intended to boost his status as a serious presidential candidate in 2008, the book was a very poor seller up until 2008. 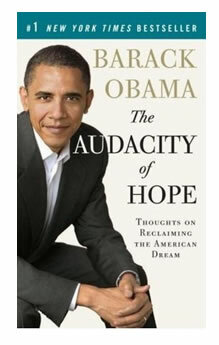 Building on previous efforts to position Obama as a serious contender for the 2008 presidential race, his campaign staff commissioned another book to be written based on additional rhetoric from his previous speeches, with bits and pieces of his life’s “struggles” added so as to hit the emotions of the American sheeple. What most fail to realize is that most books written by individuals with large media exposure are ghost written. This includes all of Obama’s books including the recent one for children. In fact, you should assume anyone with media exposure has hired a ghost writer unless proven otherwise. What this means is that these book really aren’t coming from these individuals. In my view, when you put your name on a book as the sole author and you used a ghost writer, it constitutes deceptive business practices at best, and fraud at worst. Thus, such behavior tells you a good deal about the person’s integrity. How do you think Obama has been able to write so many books in such a short time span, all while jet-setting across the globe, meeting with his cabinet, congress, reading and approving hundreds of bills, appearing on TV etc. Come on people, wake up! 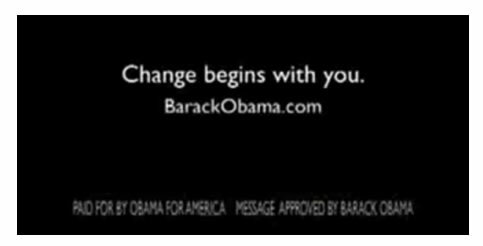 Next in line came phase three of Obama’s “Hollywood” marketing campaign, spearheaded once again by funding from George Soros and Co. as well as Wall Street and corporate America. Running with the same theme used in his book of dreams and audacity of lies, Obama’s political strategists designed a timely strategic plan to offer resolve to a nation that had suffered from decades of inequity and exploitation by corporate interests. Obama promised change. And he offered hope to millions of Americans who had been left out of the greatest period of economic expansion since the post-war era. 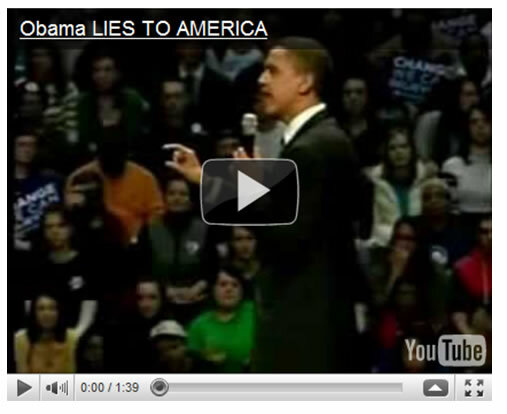 During his presidential campaign began, Obama made many promises over 500 according to official sources. For many Americans, it seemed like he offered the solutions to a nation’s people overrun by corporate interests, unnecessary wars, a ridiculously expensive and inaccessible healthcare system, Wall Street and banking fraud and outsourcing. This accounted for his widespread popularity and rock star celebrity status. 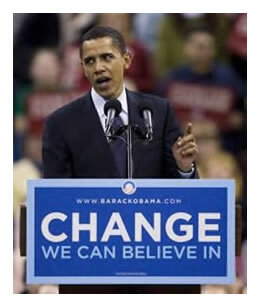 As a part of his “change” mantra, Obama promised he would bring in fresh blood as opposed to Washington insiders. He promised that his presidency would be the most open in U.S. history. He also promised to bring U.S. troops back from Iraq immediately upon taking office. Next, he promised universal healthcare. This sounded pretty good to most Americans, but he still wasn’t finished. He promised to restructure free trade and to secure the nation’s borders. He promised to hold those responsible for the financial crisis accountable. Obama also promised that he would not take any lobbyist money, all while Goldman Sachs became his second biggest contributor (and his biggest contributor by a for-profit entity), with several other Wall Street firms, securities legal firms and corporations not far behind. What’s truly remarkable is how Americans have been fooled by the media to liken Obama’s association with Reverend Wright as something bad, evil, and unpatriotic when in fact, it’s clear that Wright spoke a lot of truth. If Obama’s actions were more representative of Wright, America wouldn’t be killing innocent people in the Middle East. To the shock of most people, within a few months of entering office Obama was awarded a Nobel Peace Prize shortly after issuing order to bomb a village killing innocent civilians, all while increasing U.S. troops in Iraq. You need to ask yourself why Obama was awarded the Nobel Peace Prize after increasing death and violence. 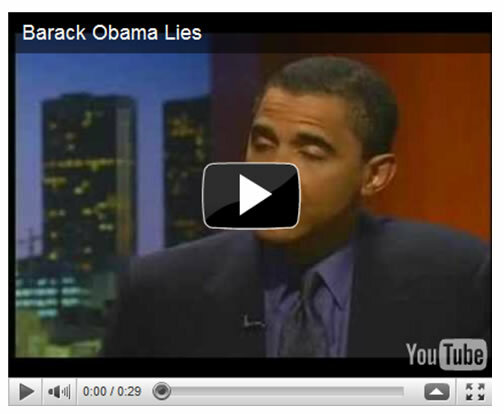 But this is just one of many controversies surrounding Obama. We cannot forget his staunch support of three tax cheats (Geithner, Kirk and Daschle) to his cabinet, nor can we forget how he pulled in some of the same perpetrators of the collapse to serve as his closest advisors (Rubin, Summer, Geithner). Perhaps if Obama actually had any real authority to accomplish anything of value, these other questions about him might be forgotten. But as Americans should realize by now, it really matters not who is in office. The results will be the same because all major decisions are being made from others. The good news is that Obama stands virtually no chance at winning a second term election due to his abysmal failure, unless he runs against some bozo like Sarah Palin. However, we cannot even count her out, as millions of American sheeple have rallied by her side despite the fact that she has no clue about much of anything. This gives you a good indication regarding the current state of America. Americans continue to be victimized because they are simply too ignorant to see how they have been fooled by celebrity status and have no ability to use the intelligence God gave them. The bad news is that it doesn’t really matter whether Obama, some other democrat or a republican is in office. Washington has very little real power. 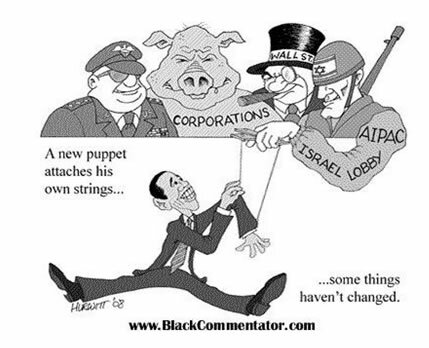 They are merely puppets. The reason why the really big issues such as war, trade and healthcare maintain the same course regardless whose in office is because it does not matter which party is in control. The real power comes from the Council on Foreign Relations. All serious candidates for presidency are members of this elite group of globalist scum. Hilary Clinton and John McCain are members of the CFR, as are Mitt Romney, Mike Huckabee and John Edwards. And of course, Barack Obama and Joseph Biden are members. In contrast, Ron Paul and Dennis Kucinich are not members. 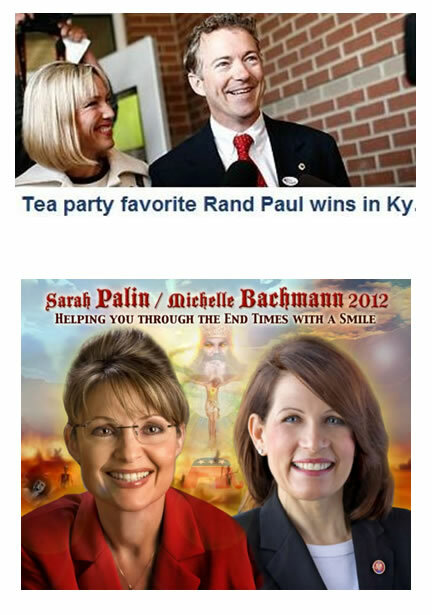 This explains why neither stood a chance to win their respective party nominations from the beginning. They wouldn’t be around by now. But this is America, where CEOs commit accounting, shareholder and taxpayer fraud, destroy companies and leave with $200 million bonuses while taxpayers and investors end up screwed. It’s happened in the past; not just during the dotcom bubble. It’s happened over and over for decades. And of course it’s happening now. If there is no real punishment for negligence and fraud, of course it’s going to happen again. Americans need to demand a third and forth political party. And they need to insist the end of all lobbyist activities. 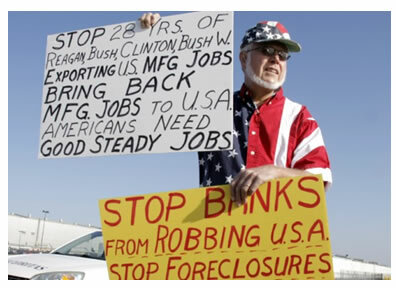 Little did I know that the replacement for Bush and Greenspan were right around the corner. From the start of his presidency, Obama was selecting Wall Street insiders and CFR members for his cabinet. He even brought in the son of a terrorist, Rahm Emanuel who had served in the Israeli military and intelligence, but not the U.S. military. This is a man who like many other Zionists in Washington holding dual citizenship, have claimed Israel as their number one loyalty. Emanuel’s family ties to the Israeli terrorist group Irgun escaped notice by Americans because the media did not discuss it. In early 2009 when the television broadcasting conversion was to take place from analog to digital, you might recall how Obama delayed the conversion until that summer because the vouchers for digital signal boxes ran out. Obama made sure to delay the conversion until everyone had a chance to get their box free of charge. The reason for the delay was because Obama’s political advisers instructed him to do so. They wanted to ensure that all Americans would remain brainwashed by Obama’s scripted teleprompter BS. Today, as Obama makes weekly appearances on trash TV, many of his supporters have lost all confidence from a man who promised hope and change. However, still millions of Americans, many of which are non-white remain clueless as to what is going on. Many of these loyal suckers have allegiance to race rather than reality. This is but another reason why America’s future remains troubling. Meanwhile, Bernanke has continued the destructive path blazed by the infamous denialist Alan Greenspan. Without a radical and immediate shakeup of Washington leadership and the Wall Street and Federal Reserve crime syndicate, America’s future remains discouraging for years to come. If Americans truly understood the reality of what has happened, they would have already thrown every politician in prison. If the same scenario played out in Europe, these politicians might suffer a much worse fate. Instead, the media has deceived, distracted and censored the truth as they have always done in order to protect the interests of their financial partners, corporate America, Wall Street and the fascist regime headquartered in Washington DC. Now why don’t you people get up and do something. 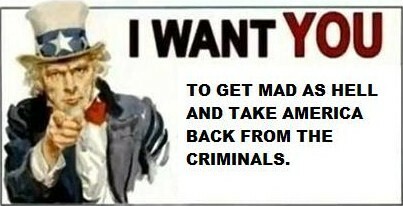 Don’t you think its past time that Americans take back their nation from the criminals? Copyright © 2010. All Rights Reserved. Mike Stathis. Mike Stathis is the Managing Principal of Apex Venture Advisors , a business and investment intelligence firm serving the needs of venture firms, corporations and hedge funds on a variety of projects. Mike's work in the private markets includes valuation analysis, deal structuring, and business strategy. In the public markets he has assisted hedge funds with investment strategy, valuation analysis, market forecasting, risk management, and distressed securities analysis. Prior to Apex Advisors, Mike worked at UBS and Bear Stearns, focusing on asset management and merchant banking. The accuracy of his predictions and insights detailed in the 2006 release of America's Financial Apocalypse and Cashing in on the Real Estate Bubble have positioned him as one of America's most insightful and creative financial minds. These books serve as proof that he remains well ahead of the curve, as he continues to position his clients with a unique competitive advantage. His first book, The Startup Company Bible for Entrepreneurs has become required reading for high-tech entrepreneurs, and is used in several business schools as a required text for completion of the MBA program. Market Oracle has received permission rights to publish this article. Any republications of this article or any others by AVA Investment Analytics must be approved by authorized staff at AVA Investment Analytics. Failure to do so could result in legal actions due to copyright infringement. Our attorneys have determined that the so-called “Fair Use” exemption as it applies to the Digital Millennium Copyright Act does not permit use by websites that have ads or any other commercial application. Disclaimer: All investment commentaries and recommendations herein have been presented for educational purposes, are generic and not meant to serve as individual investment advice, and should not be taken as such. Readers should consult their registered financial representative to determine the suitability of all investment strategies discussed. Without a consideration of each investor's financial profile. The investment strategies herein do not apply to 401(k), IRA or any other tax-deferred retirement accounts due to the limitations of these investment vehicles. 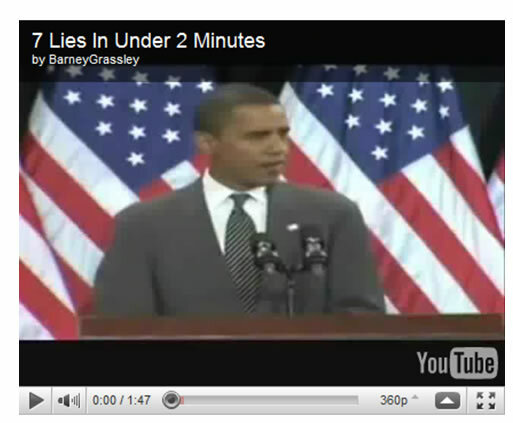 Tsk, tsk...once again the "minorities are loyal to Obama because of what he looks likes mantra." I see you eased it in an otherwise insightful article. Statistically, minorities have been voting democratically for quite some time. If Clinton had won the Democratic nomination, best believe the trend would have still lived. It was more so the younger generations, first time voters, Independents and others who helped get NObama in the White House. 14 Dec 10, 10:44 I Am Dumbfounded! But just who are "the criminals"? Certainly not ALL the politicians, right? I think the best place for us to start would be at the top of the economic criminal ladder and work our way downward to hub-cap thiefs. But anyway, like I said at the beginning, I'm all for the idea. Exactly what is it that you want me do do? 15 Dec 10, 23:22 What to do? We are not supposed to defeat usury. We are supposed to maximize it, in order that humans may learn faster. So do all you can to make the problem worse, while trying to teach how to make it better, because people won't listen now, but they might remember what you said while you were helping them dig their hole faster, so they might get out faster later. "If Americans truly understood the reality of what has happened, they would have already thrown every politician in prison. If the same scenario played out in Europe, these politicians might suffer a much worse fate. 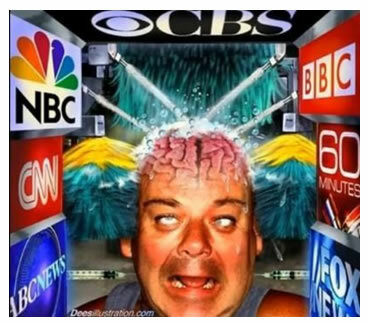 Instead, the media has deceived, distracted and censored the truth as they have always done in order to protect the interests of their financial partners, corporate America, Wall Street and the fascist regime headquartered in Washington DC." 01 Jan 11, 17:33 A Big Removal Job Is Needed! Of course we have to remove from power, the Fascist president Barry Barak Soetoro Hussein Obama! Those Who Will be Trained to Rule the New World Order Movement Because They Are the Best Puppets Possible Are Carefully Chosen by the Council on Foreign Relations (CFR). In Protocol 24 of The Protocols of the Learned Elders of Zion, the topic of those trained to rule nations is discussed. It is important to read the following quotations from this important work to fully understand where we are today in the New World Order. ‘To these persons only will be taught the practical application of the a forenamed plans by comparison of the experiences of many centuries, all the observations on the politico-economic moves and social sciences. …in a word, all the spirit of laws which have been unshakably established by nature herself for the regulation of the relations of humanity. Direct heirs will often be set aside from ascending the throne if in their time of training they exhibit frivolity, softness and other qualities that are the ruin of authority, which render them incapable of governing and in themselves dangerous for kingly office. Only those who are unconditionally capable for firm, even if it be to cruelty, direct rule will receive the reins of rule from our learned elders. …The king’s plans of action for the current moment, and all the more so for the future, will be unknown, even to those who are called his closest counselors. - sourced from Behold a Pale Horse (1991), by William Cooper, (pp. 330-33) (required reading). The illusion today is that Americans can vote in ‘their’ leader as president. Over the last several decades, this has become less and less true because of how the CFR shadow government affects American politics. The Council on Foreign Relations (CFR) conspiracy has infiltrated all elements of American society. It’s agents are in the school system, media, and government. The CFR began in 1921 and has been working ever since at destroying the minds, morals, and liberty of the American people. In order to rise to the office of President today, a person must be picked by the elite banking cabal. He (or she) must be approved and trained by a CFR ‘adviser’. Once proven that this person will do the bidding of the elite, that person is propped up as the next savior (president). This person is nothing but a puppet, not a ‘leader of the People’. Who the heck was Obama before being taken under the wing of the CFR? How do you think Bill Clinton became president? TRAINED TO RULE. DOES YOUR VOTE COUNT AT ALL? Planning to vote for one of these people? Great. 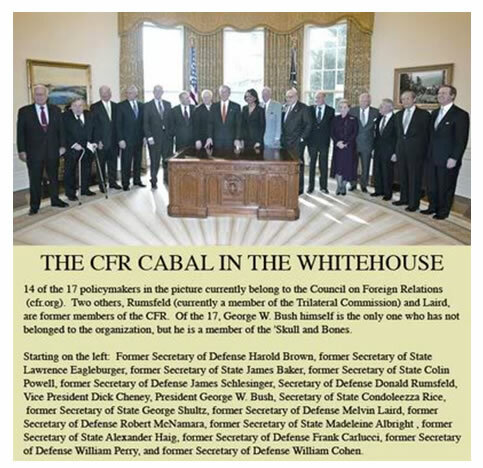 just understand that they’re all members of the CFR, which is telling them to work toward weakening your freedom in the name of a New World Order. Your vote really means zippo (unless you vote for someone other than a Republican or Democrat). Another important entity that reigns over those who are trained to rule by the CFR is the Bilderberg Society. The Bilderberg Group meets once a year and it is there that world politics are planned. When a group of about 100 of the most powerful people on Earth get together for a meeting guarded by armed military personnel, what do you think is going on? People that think this is ‘conspiracy’ talk are being foolish. These powerful people aren’t getting together to play cards. And who has the power to deploy the military to provide security for their little ‘meeting’ but the very people controlling your future? - C. Gordon Tether, London’s Financial Times, 1975. Alex has the Globalists on the run! Will you join and help?